*The name Shakspere, the spelling which appeared on his baptismal record, will refer to the gentleman William Shakspere of Stratford-upon-Avon to whom authorship is traditionally credited. *The names Shakespeare or Shake-speare, as spelled on many quartos and in the folio, will refer to the writer responsible for creating the plays and poems in question (regardless of the candidate). Like most issues having to do with the debate over Shakespeare's authorship, documenting the history of the Shakespeare authorship question is often contentious. There is no agreement, academic or otherwise, as to when the theory was first proposed or alluded to. Numerous Shakespeare scholars, including Jonathan Bate and Stanley Wells, have written that during the life of William Shakespeare and for more than 200 years after his death, there has been no convincing evidence put forward that anyone other than Shakespeare wrote the works.. Some researchers, however including authorship skeptics Diana Price and John Michell, believe that several 16th and 17th century works, including allusions by Elizabethan satirists Joseph Hall and John Marston, suggest that the Shakespearean canon was written by someone else. According to mainstream critics William and Elizebeth Friedman, the allusions to doubts about Shakespearean authorship also arose in several 18th century satirical and allegorical works. Throughout the 18th century, Shakespeare was described as a transcendent genius and by the beginning of the 19th century Bardolatry was in full swing. Uneasiness about the difference between Shakespeare's godlike reputation and the humdrum facts of his biography began to emerge in the 19th century. In 1850, Ralph Waldo Emerson expressed the underlying question in the air about Shakespeare saying, "The Egyptian [i.e. mysterious] verdict of the Shakspeare Societies comes to mind; that he was a jovial actor and manager. I can not marry this fact to his verse." In 1853, with help from Emerson, Delia Bacon, an American teacher and writer, travelled to Britain to research her belief that Shakespeare's works were written to communicate the advanced political and philosophical ideas of Francis Bacon (no relation). Later writers such as Ignatius Donnelly portrayed Francis Bacon as the sole author. The American poet Walt Whitman declared himself agnostic on the issue and refrained from endorsing an alternative candidacy. Voicing his skepticism, Whitman remarked, "I go with you fellows when you say no to Shaksper: that's about as far as I have got. As to Bacon, well, we'll see, we'll see." Price's Unauthorized biography has rattled cages. Diana Price’s Shakespeare’s Unorthodox Biography: New Evidence of an Authorship Problem approaches the authorship question by going back to the historical documents and testimony that underpin Shakespeare’s biography. Price believes that centuries of biographers have suspended their standards and criteria to weave inadmissible evidence into their narratives. She offers new analyses of the evidence and then reconstructs Shakespeare of Stratford’s professional life. According to Price, literary biographies, i.e., lives of writers, are based on evidence left behind during the writer’s lifetime, such as manuscripts, letters, diaries, personal papers, receipts, etc. Price calls these "literary paper trails" - the documents that allow biographers to reconstruct the life of their subject as a writer. Price acknowledges that Shakespeare of Stratford did leave behind a considerable amount of evidence, but writes that none of it traces a career as a playwright and poet. In Shakspere's case, the first document in the historical record that “proves” he was a writer was created after he died. Price says that historians routinely distinguish between contemporaneous and posthumous evidence, and they don’t give posthumous evidence equal weight - but Shakespeare’s biographers do. The central chapter on Literary Paper Trails, and an associated appendix chart, compares the evidence of two-dozen other writers with that of Shakespeare of Stratford’s. The criteria are simple and routinely employed by historians and biographers of other subjects. Evidence that is personal, contemporaneous, and supports one statement, “he was a writer by vocation or profession,” qualifies for inclusion in the comparative chart. Price sorted the evidence into numerous categories, which were then collapsed into 9 categories, with a 10th one created to serve as an all-purpose catchall to ensure that no qualifying paper trail was excluded. Each of these two-dozen Elizabethan and Jacobean writers left behind a variety of records shedding light on their writing activities. For example, historians know how much some of them got paid for writing a poem or a play, or how much a patron rewarded them for their literary effort. Some left behind letters referring to their plays or poems. A few of them left behind handwritten manuscripts or books with handwritten annotations. Price records that Shakespeare of Stratford left behind over seventy historical records, and over half of these records shed light on his professional activities. Price notes, however, that every one of these documents concerns non-literary careers – those of theatrical shareholder, actor, real estate investor, grain trader, moneylender, and entrepreneur. But he left behind not one literary paper trail that proves he wrote for a living. In the genre of literary biography for Elizabethan and Jacobean writers, Price concludes that this deficiency of evidence is unique. Authorship doubters such as Ogburn and Michell believe that the author of Shakespeare's works manifest a higher education, displaying knowledge of contemporary science, medicine, astronomy, rhetoric, music, and foreign languages, and have written that there is no evidence that Shakespeare of Stratford ever attained such an education. In addition, the writer of the Shakespeare canon exhibited a very extensive vocabulary, variously calculated, according to different criteria, as ranging between 17,500 to 29,066 words. Many anti-Stratfordians, such as Mark Anderson, believe that mainstream scholars have failed to explain Shakespeare's knowledge of foreign languages, modern sciences, warfare, law, statesmanship, hunting, natural philosophy, history, and aristocratic sports including tennis and lawn bowling. Regarding Shakespeare's possible attendance at the Stratford grammar school, many skeptics say that as the records of the school's pupils have not survived, Shakespeare of Stratford's attendance cannot be proven; that no one who ever taught or attended The King's School ever claimed to have been his teacher or classmate; and that the school or schools Shakspeare of Stratford might have attended are a matter of speculation as there are no existing admission records for him at any grammar school, university or college. Skeptics also say that there is clearer evidence for Ben Jonson's formal education and self-education than for Shakspeare of Stratford's. Several hundred books owned by Ben Jonson have been found signed and annotated by him but no book has ever been found which proved to have been owned or borrowed by Shakspeare of Stratford. It is known, moreover, that Jonson had access to a substantial library with which to supplement his education. According to Shakespearean scholar Honan Park, the Stratfordian position maintains that Shakspeare of Stratford would have received the kind of education available to the son of a Stratford alderman at the local grammar school and at the parish church, including a comfortable mastery of the Bible, Latin, grammar and rhetoric. The former was run by a number of Oxford graduates, Simon Hunt, Thomas Jenkins and John Cottom, and the latter by Henry Heicroft, a fellow at St John's College, Cambridge. 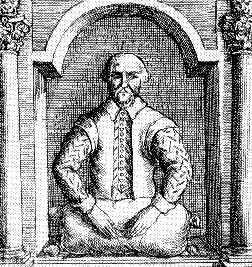 Though there is no evidence that he attended a university, a degree was not a prerequisite for a Renaissance dramatist, and mainstream scholars have long assumed Shakspeare of Stratford to be largely self-educated, with such authorities as Jonathan Bate devoting considerable space in recent biographies to the issue. A commonly cited parallel is his fellow dramatist Ben Jonson, a man whose origins were humbler than those of the Stratford man, and who rose to become court poet. Like Shakspeare of Stratford, Jonson never completed and perhaps never attended university, and yet he became a man of great learning (later being granted an honorary degree from both Oxford and Cambridge). Anti-Stratfordians have long commented that a provincial glovemaker's son who resided in Stratford until early adulthood would have been unlikely to have written plays that deal so personally with the activities, travel and lives of the nobility. The view is summarised by Charles Chaplin: "In the work of greatest geniuses, humble beginnings will reveal themselves somewhere, but one cannot trace the slightest sign of them in Shakespeare. . . . Whoever wrote them (the plays) had an aristocratic attitude." Authorship doubters say that the plays show a detailed understanding of politics, the law and foreign languages that would have been near impossible to attain without an aristocratic or university upbringing. Skeptics note that while the author's depiction of nobility was highly personal and multi-faceted, his treatment of commoners was quite different. Tom Bethell, in Atlantic Monthly, commented "The author displays little sympathy for the class of upwardly mobile strivers of which Shakspere (of Stratford) was a preeminent member. Shakespeare celebrates the faithful servant, but regards commoners as either humorous when seen individually or alarming in mobs". Orthodox scholars such as Jonathan Bate have responded that the glamorous world of the aristocracy was a popular setting for plays in this period and that numerous English Renaissance playwrights, including Christopher Marlowe, John Webster, Ben Jonson, Thomas Dekker wrote about the nobility despite their own humble origins. Bate writes that Shakespeare was an upwardly mobile man: his company regularly performed at court and he thus had ample opportunity to observe courtly life. InThe Genius of Shakespeare, Bate writes that the class argument is reversible: the plays contain details of lower-class life about which aristocrats might have little knowledge. Many of Shakespeare's most vivid characters are lower class or associate with this milieu, such as Falstaff, Nick Bottom, Autolycus, Sir Toby Belch, etc. Shakspere's will has only fueled the authorship fire. Anti-Stratfordians such as Ogburn write that Shakespeare of Stratford's will is long and explicit, bequeathing the possessions of a successful middle class businessman but makes no mention of personal papers or books (which were expensive items at the time) of any kind, any mention of poems or of the 18 plays that remained unpublished at the time of his death, nor any reference to the valuable shares in the Globe Theatre that the Stratford man reportedly owned.This contrasts with Sir Francis Bacon, whose two wills refer to work that he wished to be published posthumously. 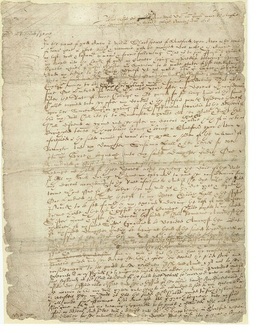 Price finds it unusual that the Stratford man did not wish his family to profit from his unpublished work or was unconcerned about leaving them to posterity, and finds it improbable that he would have submitted all the manuscripts to the King's Men, the playing company of which he was a shareholder, prior to his death. Anti-Stratfordians also note that the only theatrical reference in Shakspeare of Stratford's will (gifts to fellow actors) were interlined—i.e., inserted between previously written lines—and thus are subject to doubt. Stratfordians such as David Kathman have responded that the complete inventory of Shakspere's possessions, mentioned at the bottom of the will as being attached (Inventarium exhibitum), has been lost, and that is where any books or manuscripts would have been mentioned. Kathman has also stated that none of Shakespeare's contemporary playwrights mentioned play manuscripts in their wills. According to G.E. Bentley, in The Profession of Dramatist in Shakespeare's Time: 1590–1642, the plays were owned by the playing companies, who sold the publishing rights at their discretion, so Shakspere's plays were not his to dispose of, being owned by the King's Men. It is not known whether Shakspere still owned the shares in the Globe Theatre at his death, but three other major share holders besides Shakspere who were positively known to hold shares when they died—Richard Burbage, Augustine Phillips, and Henry Condell—also didn't mention Globe shares in their wills. The Stratford Bust, as it was represented in print between 1656 and 1723. Doubters say the illustrations speak for themselves. Mainstream critics maintain the first two illustrators were inaccurate. Figure a. Shakespeare's Stratford Bust, from Dugdale's Warwickshire (1656). Doubters note what appears to be a woolsack and the absence of pen and paper suggests the figure more likely represents Shakespeare, the merchant-businessman. Figure b. Shakespeare's Stratford Bust, as published by Nicholas Rowe in 1709, with similar woolsack and absence of pen and paper. 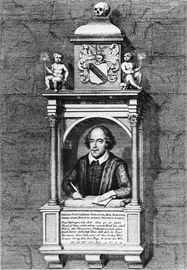 Figure c. Shakespeare's "Stratford monument", with pen in hand, engraved in 1723 by George Vertue. Shakespeare's grave monument in Stratford, built within a decade of his death, currently features an effigy of him with a pen in hand, suggestive of a writer, with an attached inscribed plaque praising his abilities. 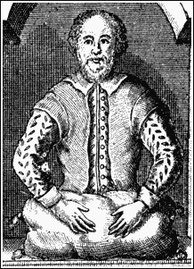 But some anti-Stratfordians say that the monument was altered after its installation, as the earliest printed image of the monument in Sir William Dugdale's Antiquities of Warwickshire, published in 1656, merely portrays a man holding a grain sack. The monument is portrayed similarly in Nicholas Rowe’s 1709 edition of Shakespeare’s works. The earliest record of the pen (which evidently broke from the hand in the late eighteenth century and is now represented by a real goose quill) dates from an engraving of the memorial made by George Vertue in 1723 and published in Alexander Pope's 1725 edition of Shakespeare's plays. When the effigy and cushion, made of a solid piece of Cotswold limestone, was removed from its niche in 1973, Shakespeare scholar Sam Schoenbaum examined it and rendered an opinion that the monument was substantially as it was when first erected, with the hands resting on paper and writing-cushion, saying that "no amount of restoration can have transformed the monument of Dugdale's engraving into the effigy in Stratford church." In 2006, researcher Richard Kennedy proposed that the monument was originally built to honour John Shakespeare, William’s father, who was described by Rowe as a “considerable” wool dealer, and that the effigy was later changed to fit the writer. Kennedy’s theory gained the support of orthodox scholars Sir Brian Vickers and Peter Beal. According to Vickers, "[W]ell-documented records of recurrent decay and the need for extensive repair work . . . make it impossible that the present bust is the same as the one that was in place in the 1620s." SONNETS dedication with "ever living Poet" (1609). 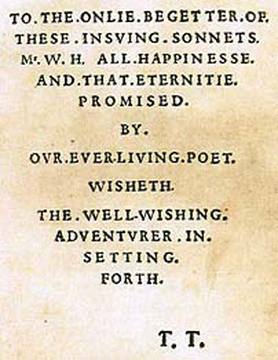 Some authorship doubters, including Ruth Miller and Mark Anderson, believe that the actual playwright was dead by 1609, the year Shake-speare's Sonnets, appeared with "our ever-living Poet" on the dedication page, words typically used to eulogize someone who has died, yet has become immortal. Shakespeare himself used the phrase in this context in Henry VI, part 1, describing the dead Henry V as "[t]hat ever living man of memory" (4.3.51). And in 1665, Richard Brathwait used the exact same terminology referring to the deceased poet Jeffrey Chaucer, "A comment upon the two tales of our ancient, renovvned, and ever-living poet Sr. Jeffray Chavcer, Knight." Foster's hypothesis, and the resulting Bate translation, however, does not represent the more traditional mainstream belief, espoused by noted Shakespearean scholar Sydney Lee, that "In Elizabethan English there was no irregularity in the use of 'begetter' in its primary sense of 'getter' or 'procurer'". Lee compiled numerous examples of the word used in this way and wrote that any doubt about the definition is "barely justifiable". Some modern scholars, such as Katherine Duncan-Jones, believe the sonnets were published with Shakespeare’s full authorization. This theory, however, stands in contrast to the more general believe stated by Lee, that "The corrupt state of the text Thorpe's edition of 1609 fully confirms that the enterprise lacked authority,...the character of the numerous misreadings leaves little doubt that Thorpe had no means of access to the authors MS."
Price, Diana. Shakespeare's Unorthodox Biography (2001), 224-26. Friedman, William F. and Elizebeth S. The Shakespearean Ciphers Examined (1957), pp. 1-4, quoted in Shakespeare and His Rivals, George McMichael, Edward M. Glenn, eds. (1962) pg. 56; Wadsworth, 10. Sawyer, Robert (2003). Victorian Appropriations of Shakespeare. New Jersey: Fairleigh Dickinson University Press, 113. ISBN 0838639704. Traubel, H.: With Walt Whitman in Camden, qtd. in Anon, 'Walt Whitman on Shakespeare'. The Shakespeare Fellowship. (Oxfordian website). Retrieved April 16, 2006. Gibson, 48, 72, 124; Kathman, David (2003), 620; Schoenbaum, Lives, 430–40. 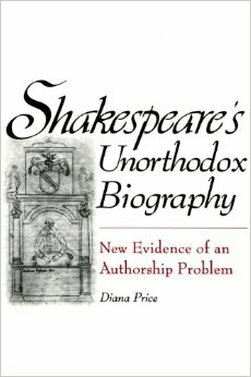 Diana Price, Shakespeare’s Unorthodox Biography: New Evidence of an Authorship Problem (Westport, CT: Greenwood Press, 2001), 153-194. See also Price, “Evidence for a Literary Biography," The University of Tennessee Law Review (fall 2004):143-146 for additional analyses of the posthumous evidence. Price, Shakespeare’s Unorthodox Biography, 111-150, 301-313. Errata and additions on Price’s website at http://www.shakespeare-authorship.com/Resources/Errata.ASP. For an expansion on this section, see Price “Evidence for a Literary Biography, 111-147. For a comparable analysis of personal literary paper trails for two candidates for the authorship of The Arte of English Poesie, see Gladys D. Willcock & Alice Walker, eds. The Arte of English Poesie (Cambridge Univ. Press 1936) xvii-xviii, xxiii. For a discussion of criteria, see Robert C. Williams, The Historian’s Toolbox: A Student’s Guide to the Theory and Craft of History (M.E. Sharpe 2003), who defines a “primary source [as] a document, image, or artifact that provides evidence about the past. It is an original document created contemporaneously with the event under discussion” [emphasis added], 58. See also Paul M. Kendall, The Art of Biography (1965. Reprint, W.W. Norton 1985), xiii. Terttu Nevalainen ‘Early Modern English Lexis and Semantics’, in Roger Lass (ed. )The Cambridge History of the English Language, vol.3, 1476-1776, Cambridge University Press 1999 pp.332-458, p.336. The low figure is that of Manfred Scheler. The upper figure is that of Marvin Spevack. Anderson, Mark. "Shakespeare" by Another Name. New York City: Gotham Books. ISBN 1592402151. Riggs, David, Ben Jonson: A Life (Harvard University Press: 1989), p.58. Bate, Jonathan (2008). "Stratford Grammar; After Palingenius; Continuing Education: the Art of Translation; The School of Prospero; Shakespeare's Small Library". Soul of the Age; the life, mind and world of William Shakespeare. London: Viking. pp. 79–157. ISBN 978-0-670-91482-1. Chaplin, Charles. My Autobiography (New York: Simon and Schuster, 1964), 364. Honigmann, E. A. J. and Susan Brock's 'Playhouse Wills, 1558-1642, (1993). a b Scharf, George (23 April 1864). "On the principal portraits of Shakespeare". Notes and Queries (London) 3:5 (121): 336. Ogburn, Charlton. The Mysterious William Shakespeare: The Myth & the Reality (1984), 210-214. ‘Shakespeare’s True Face’, Times Literary Supplement, 30 June and 14 July 2006,http://entertainment.timesonline.co.uk/tol/arts_and_entertainment/the_tls/article2342666.ece. 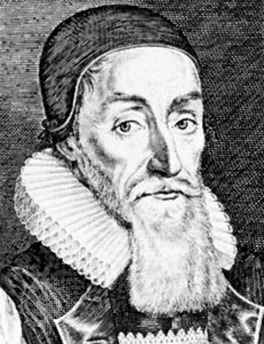 Notably in William Covell's Polimanteia (1595), reprinted in Alexander B. Grosart’s Elizabethan England in Gentle and Simple Life, p. 34, available at http://books.google.com/books?id=HhODWyNC_k4C&dq; Foster, Donald. "Master W. H., R. I. P."PMLA 102 (1987) 42-54, 46-48. Shakespeares Venus and Adonis: being a reproduction in facsimile of the first edition, 1593, from the unique copy in the Malone collection in the Bodleian library, pgs 38.